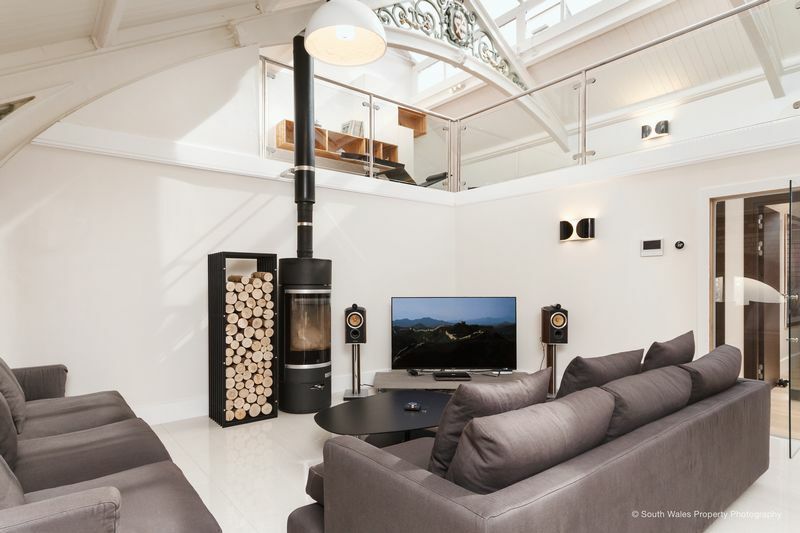 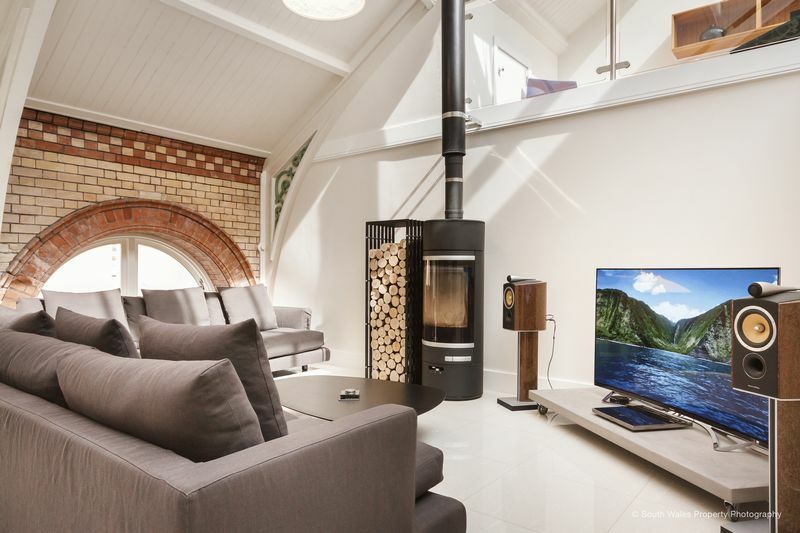 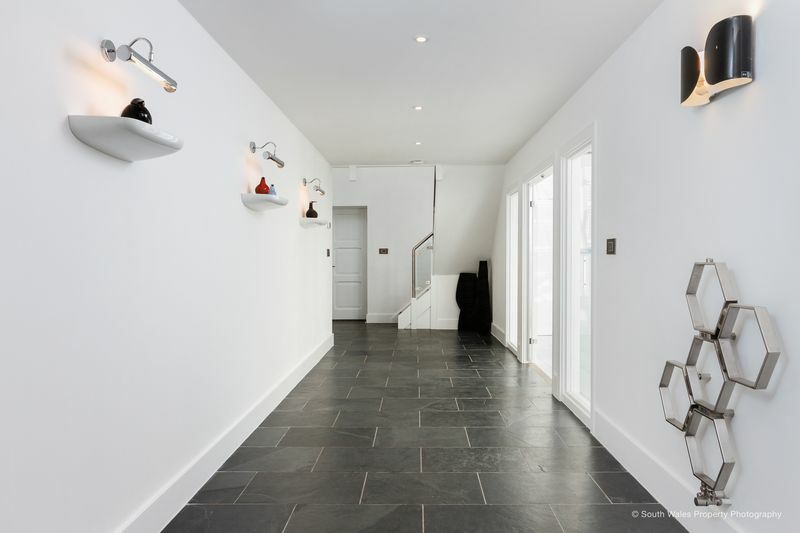 ** HD Video Walk Through** A stunning complete custom renovation by MJ Contempo Design Projects for a client who wanted a contemporary decor to accentuate the unique features of the Grade II Listed building and the history of this iconic Penarth landmark. 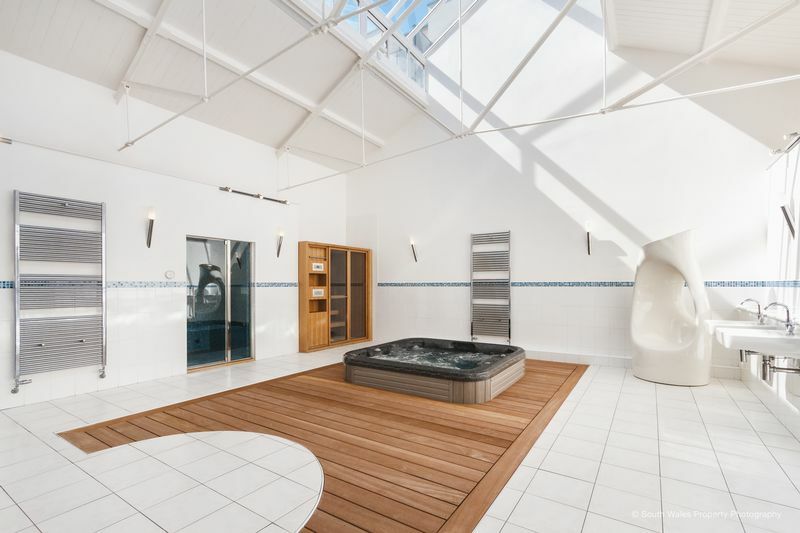 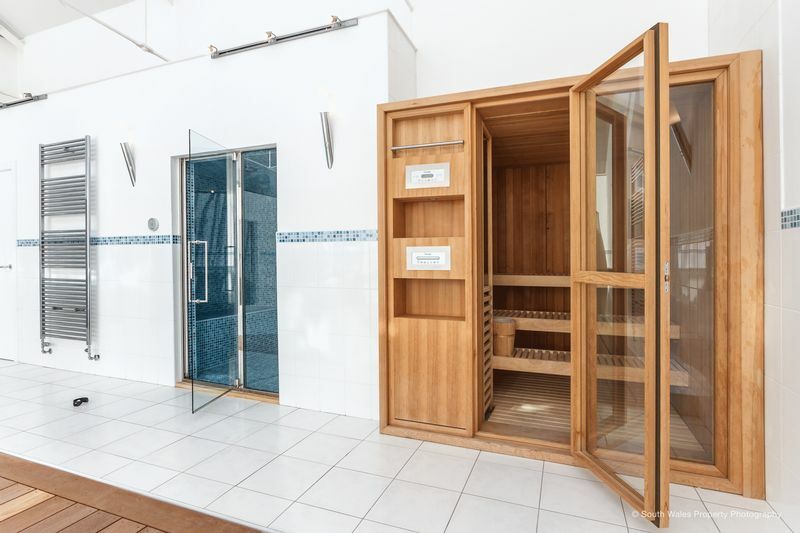 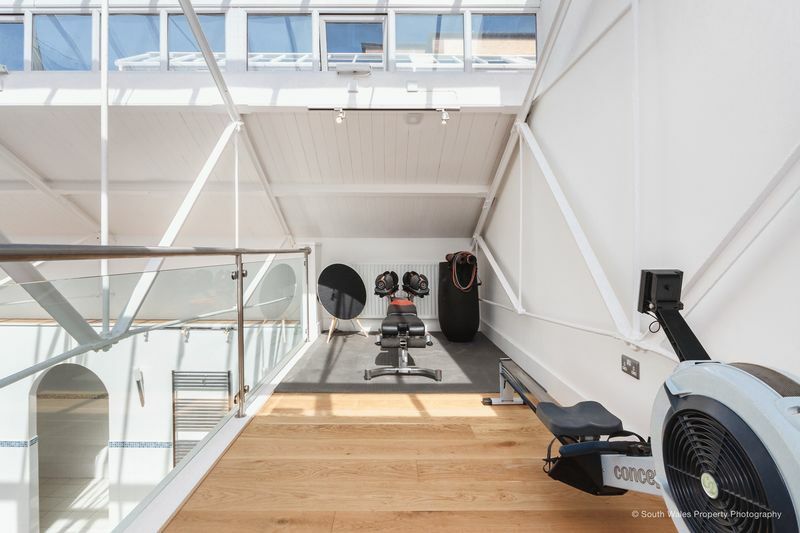 The property has its own leisure suite consisting of jacuzzi, steam room, sauna and mezzanine level providing a gym & workout area. 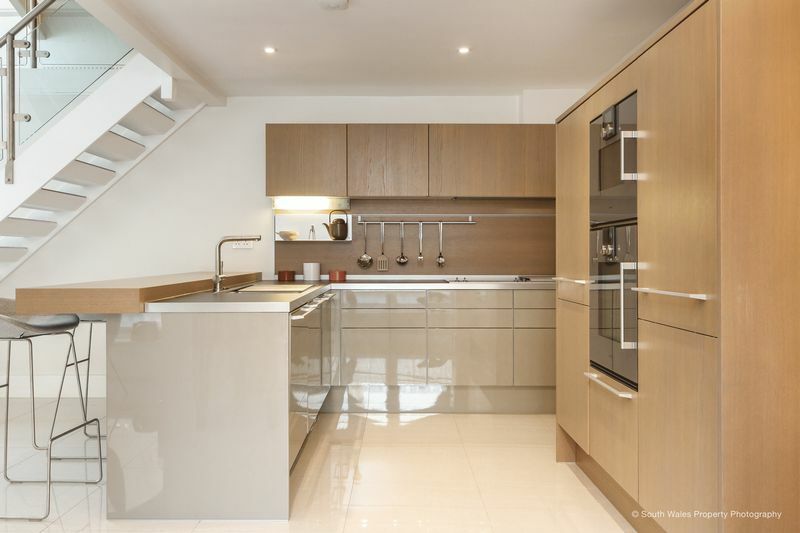 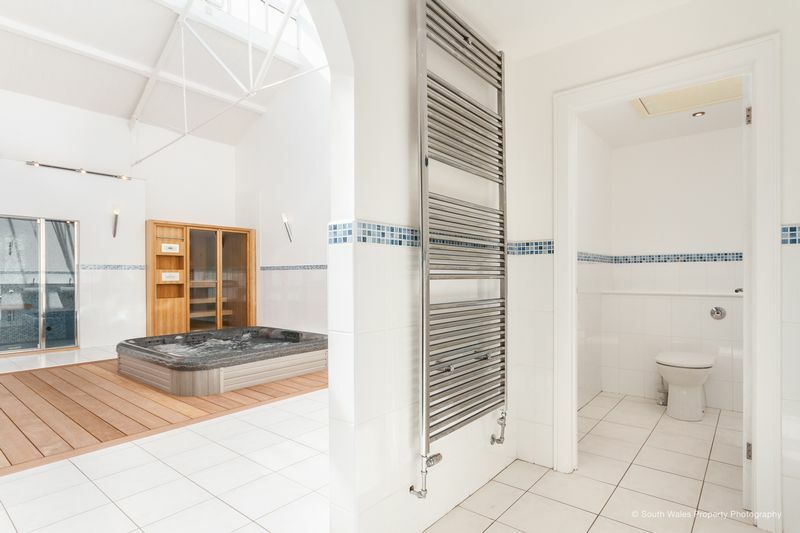 Beautifully refurbished throughout there are three double bedrooms with ensuite shower to the master suite, family bathroom and open plan lounge diner to the middle floor. 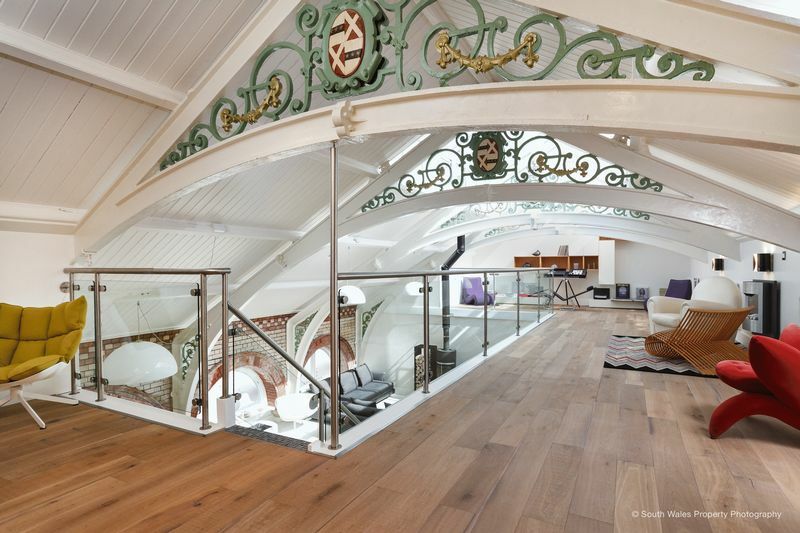 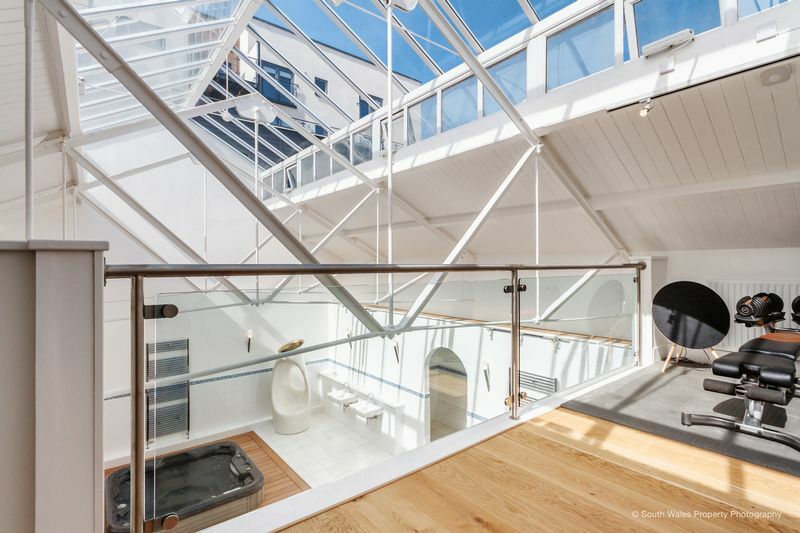 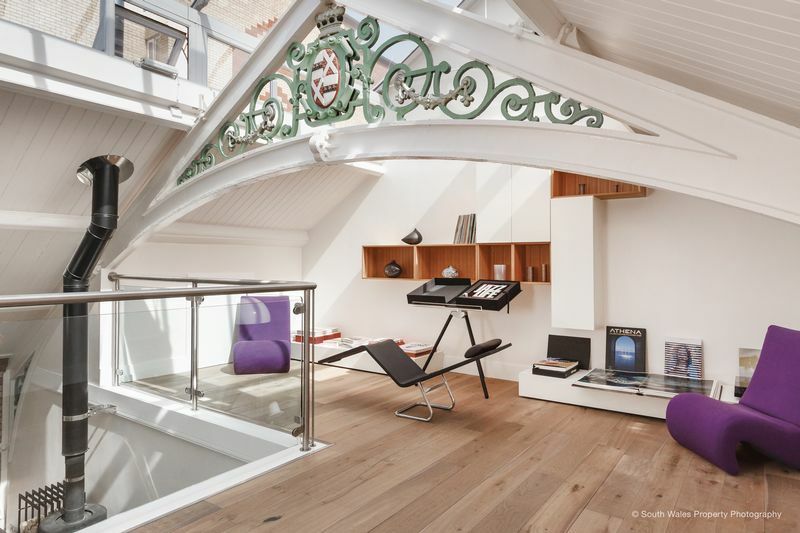 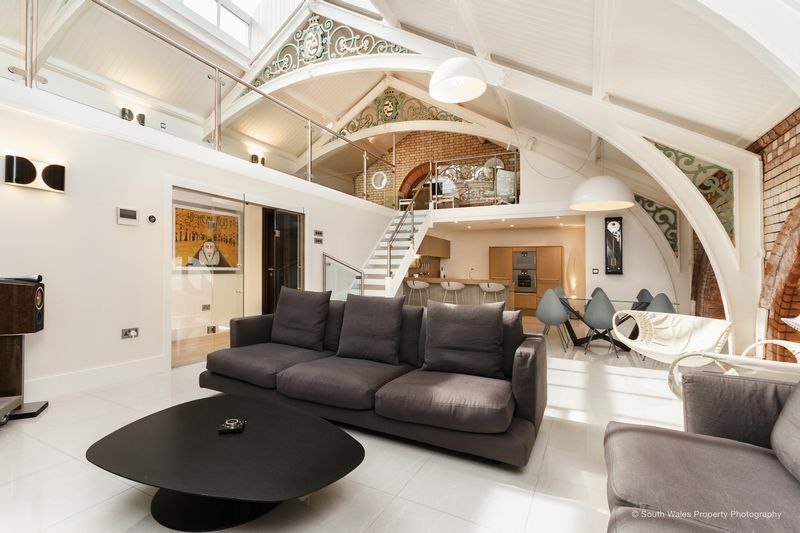 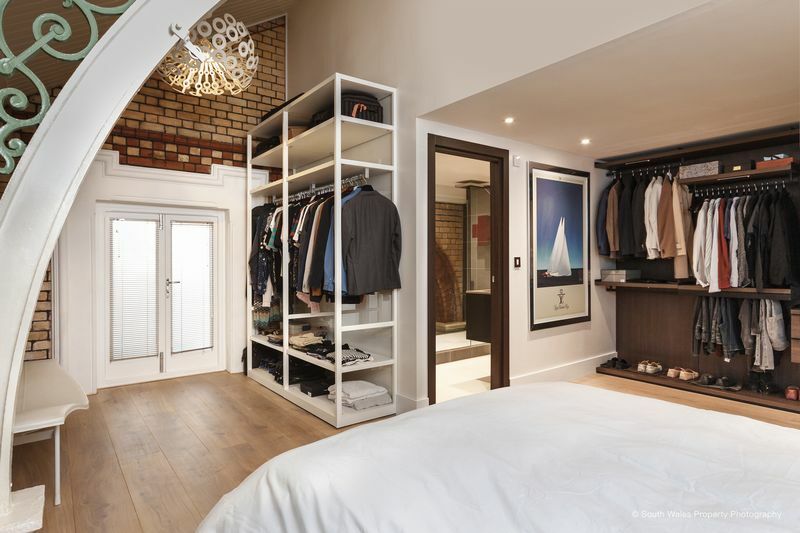 The mezzanine level provides further character and practical living space. 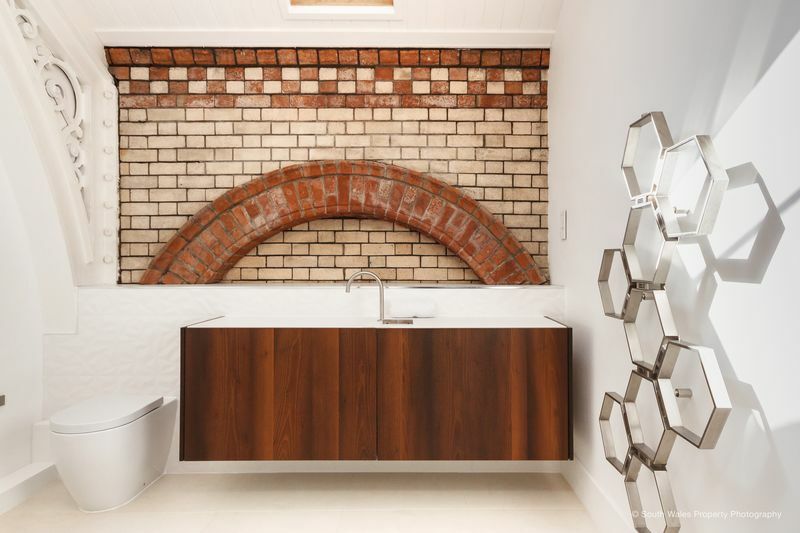 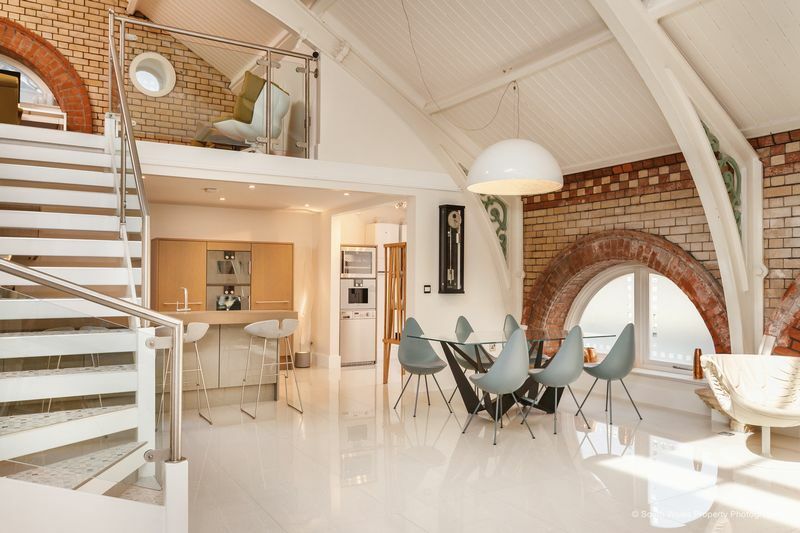 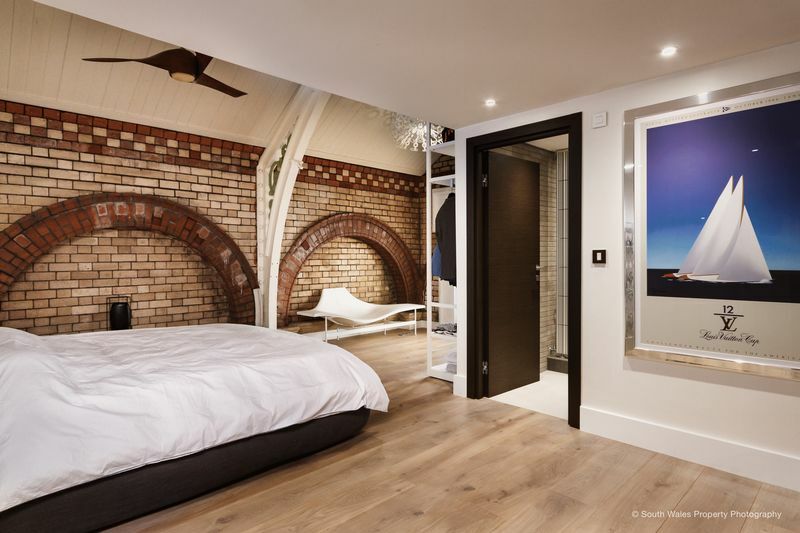 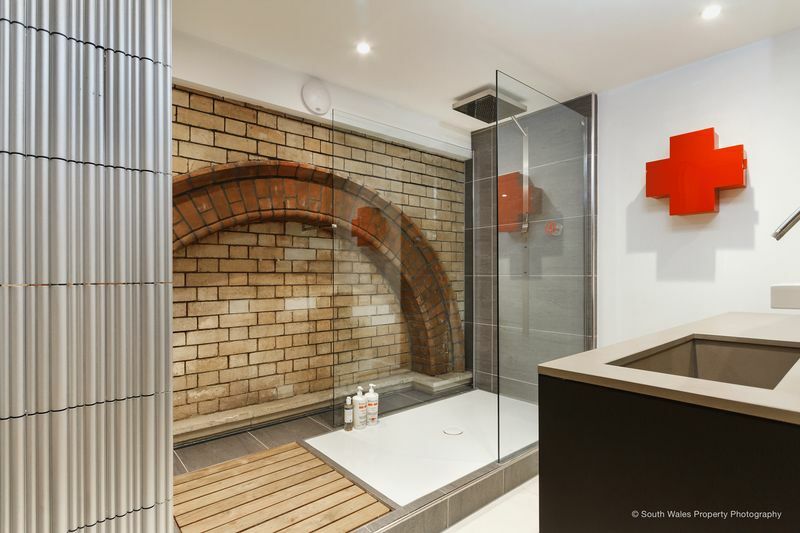 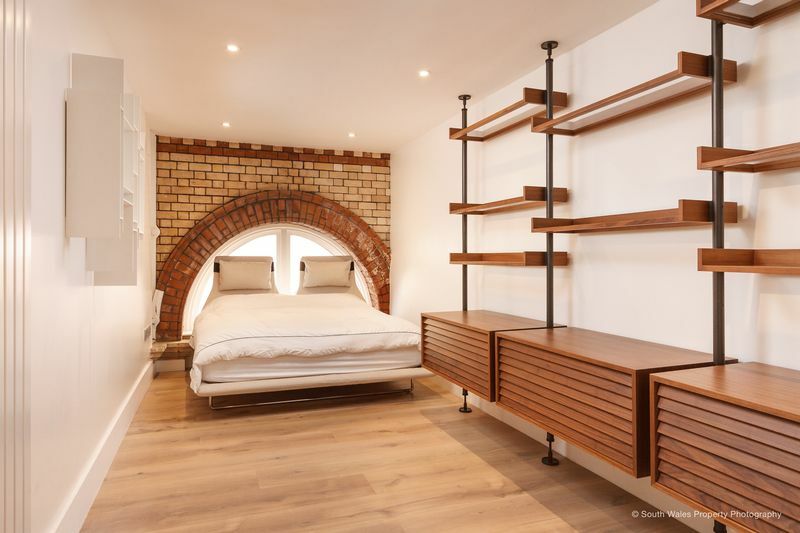 The property features original beams and brick work , the current owners have achieved an amazing balance of traditional and contemporary style throughout. 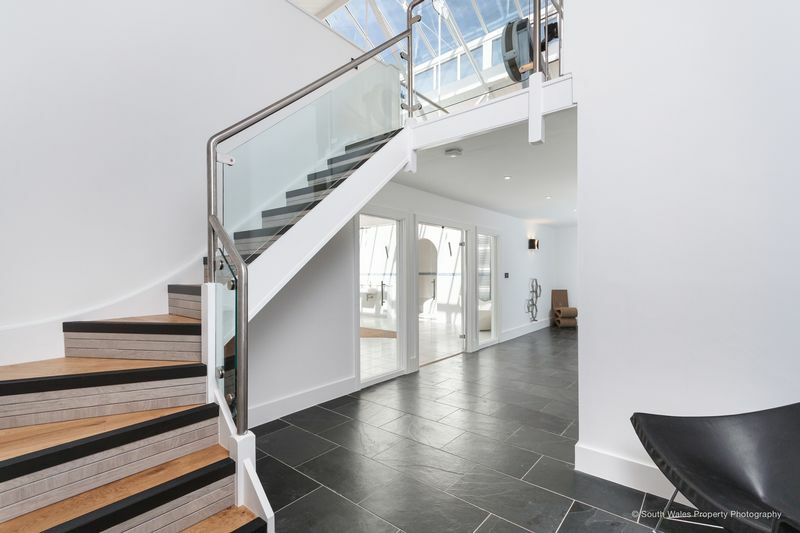 With secure gated parking and Penarth Esplanade and sea views on your door step this stunning property offers unique water side living. 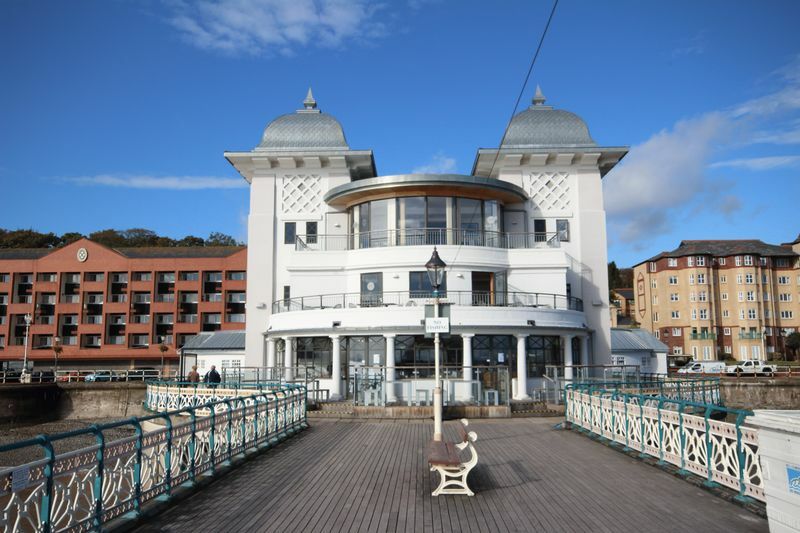 Balmoral Quay is situated on the iconic sea front of Penarth. 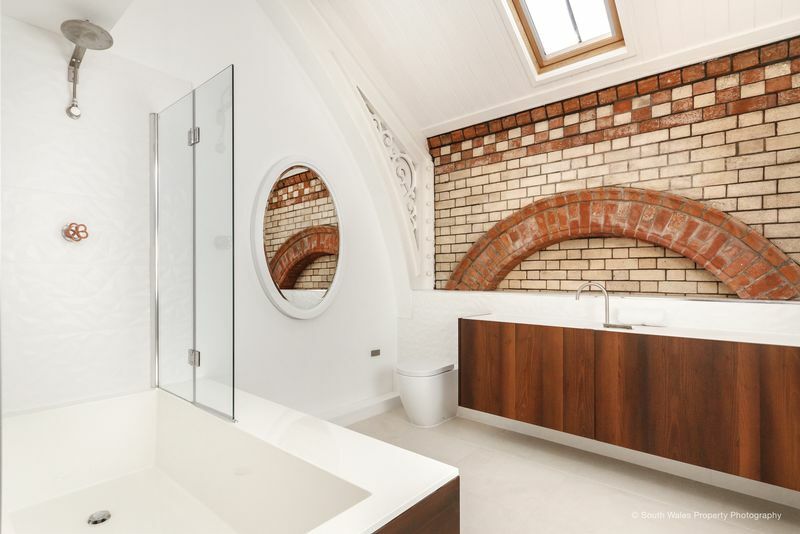 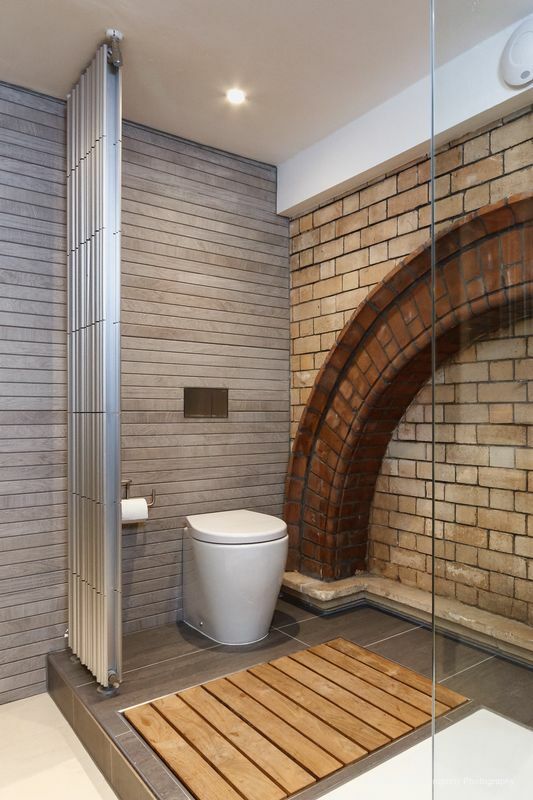 The Grade II listed building was originally the Victorian municipal baths that stood in the town for the best part of a century, the building retains much of the brickwork and windows of the original baths. 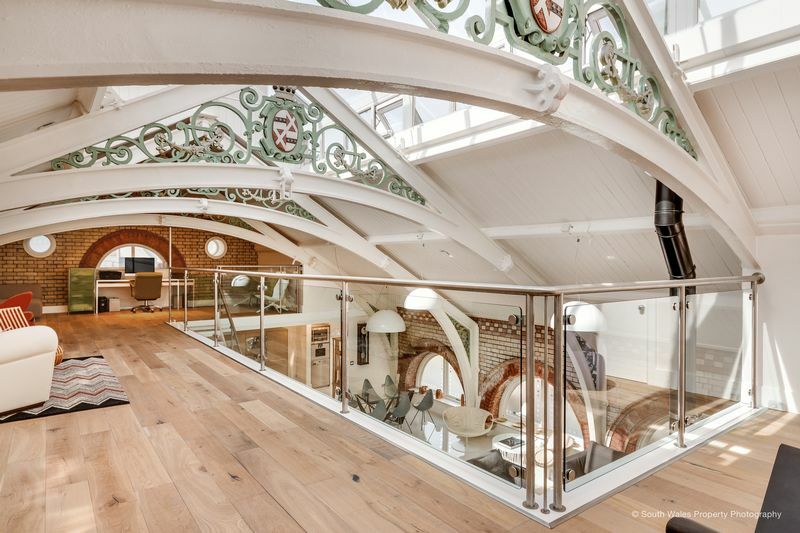 The municipal baths closed in the 1980s and the building itself later became a pub restaurant – In At The Deep End. 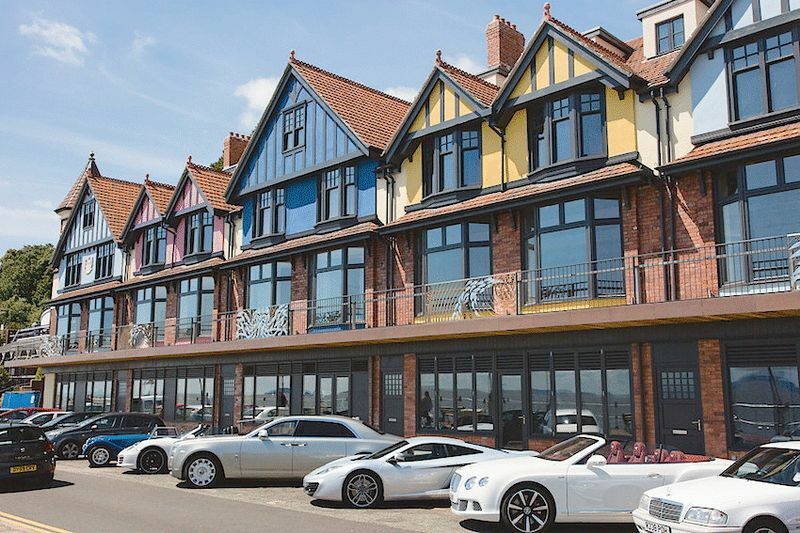 It was then bought up and slowly converted into four separate properties in 2005. 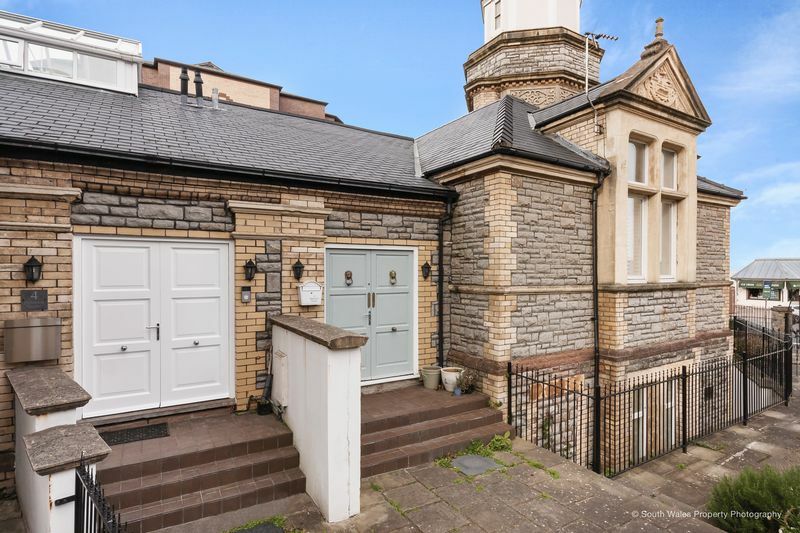 These residential properties retain a lot of the original character and Victorian charm and are true pieces of the local history of Penarth. 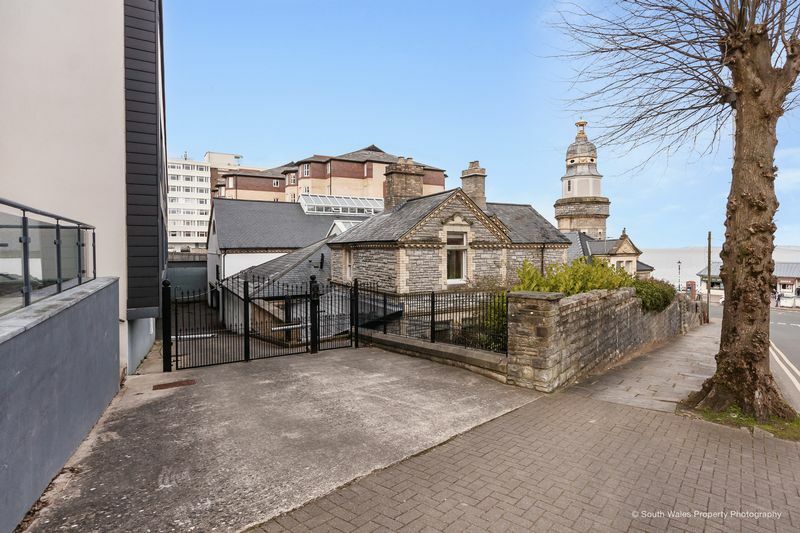 The beach front location is something that remains a real draw for many people to Balmoral Quay and the surrounding areas. 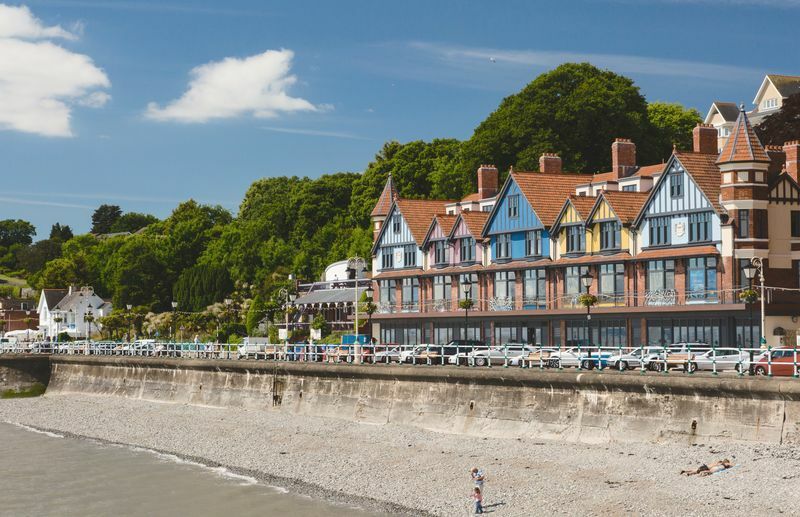 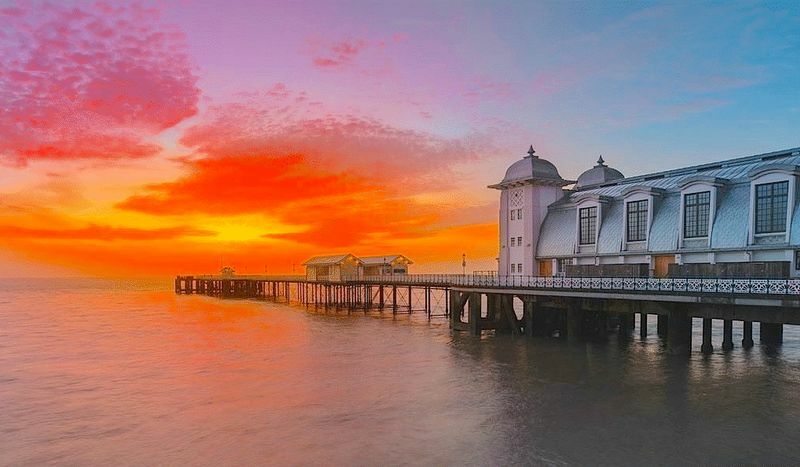 The main Pier and colourful Esplanade are right on your doorstep along with the fine dining of the Michelin Star James Sommerin restaurant. 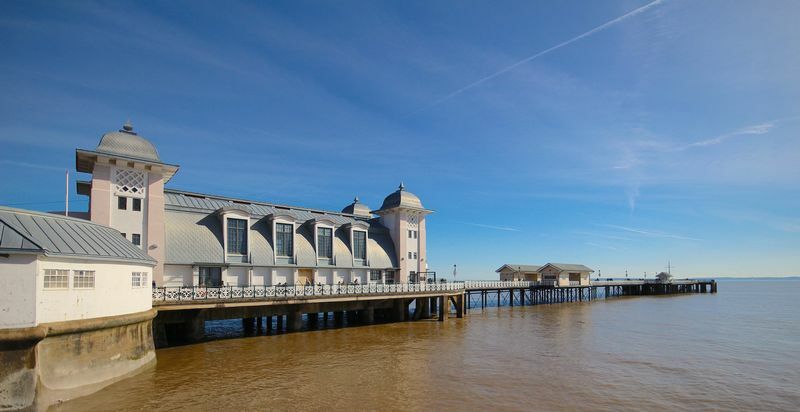 The property is also within close proximity of Penarth town centre and offers cliff top walks along the coast line. 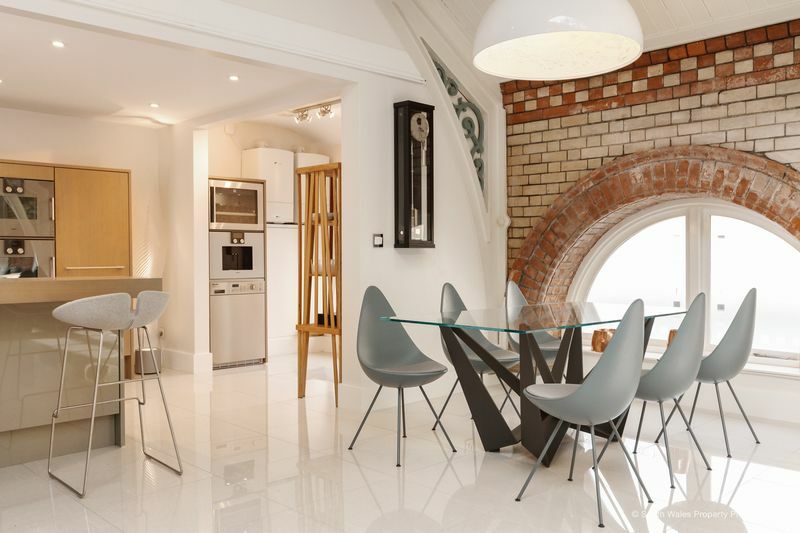 The access to the M4 is also only moments away providing easy access to West Wales, Bristol and London. 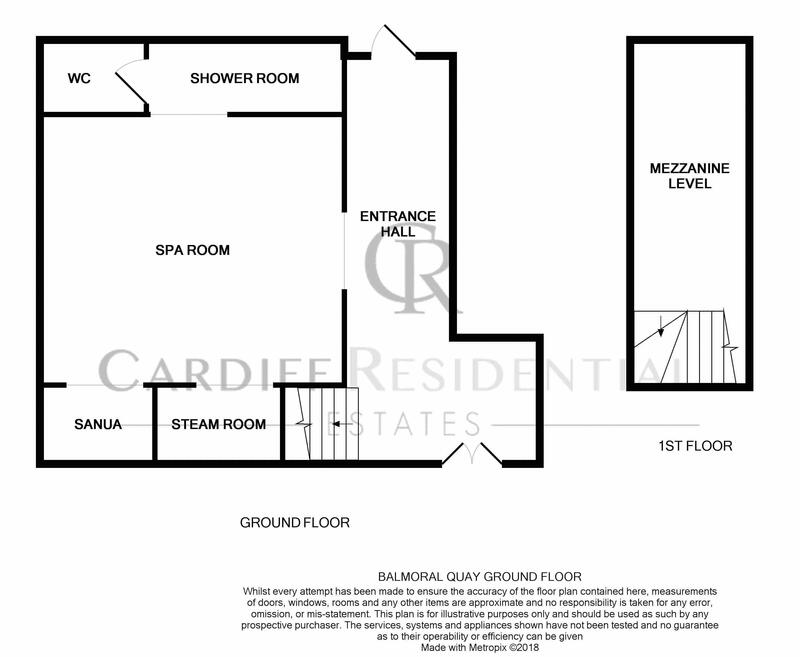 Additional access links via Cardiff Central Station and Cardiff Airport are also only short distances from the property. 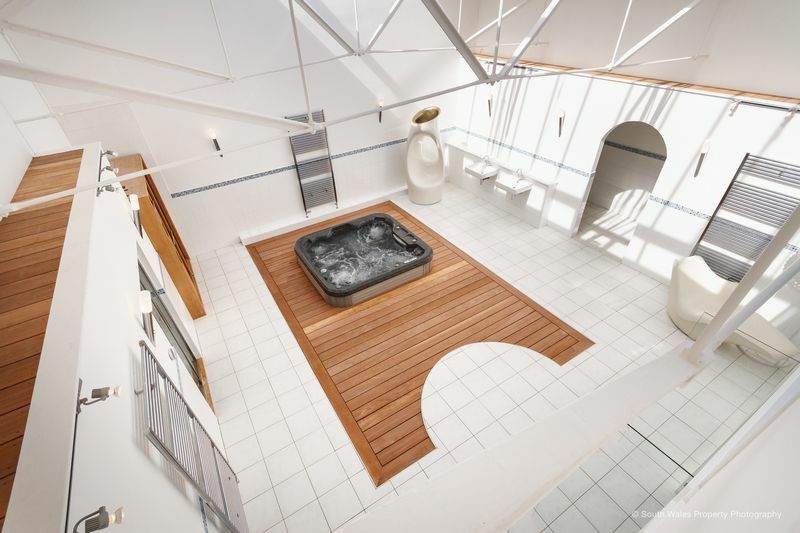 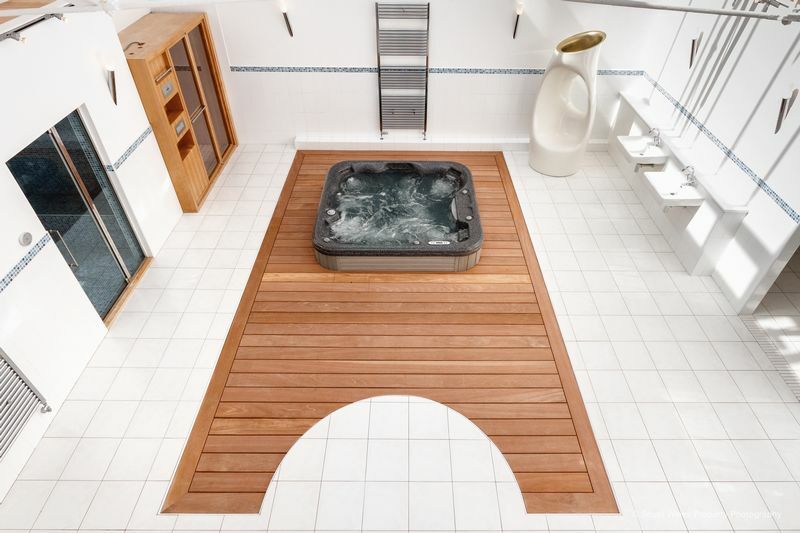 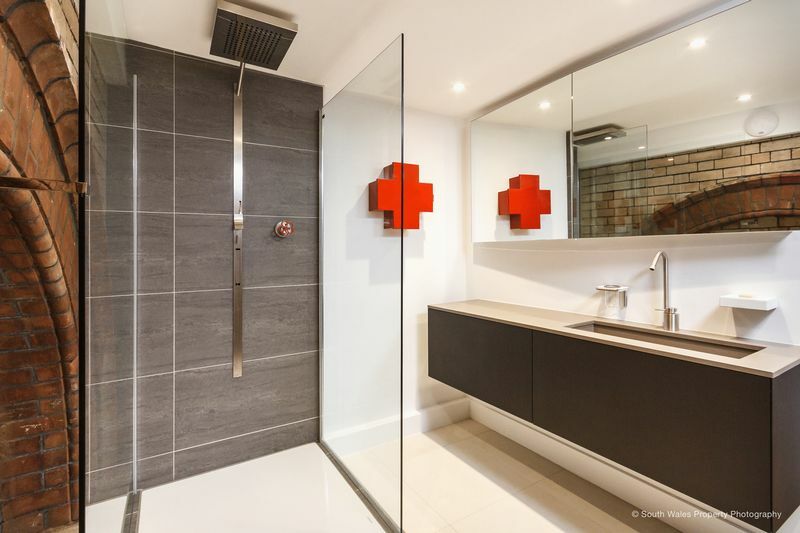 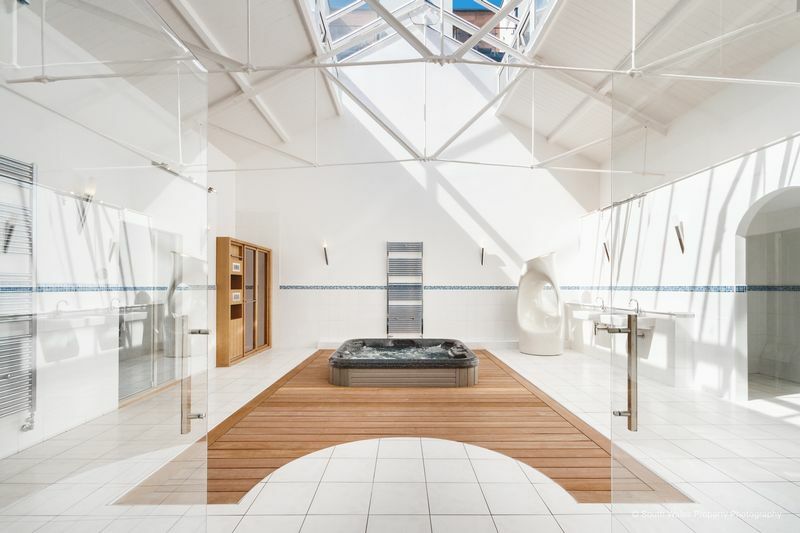 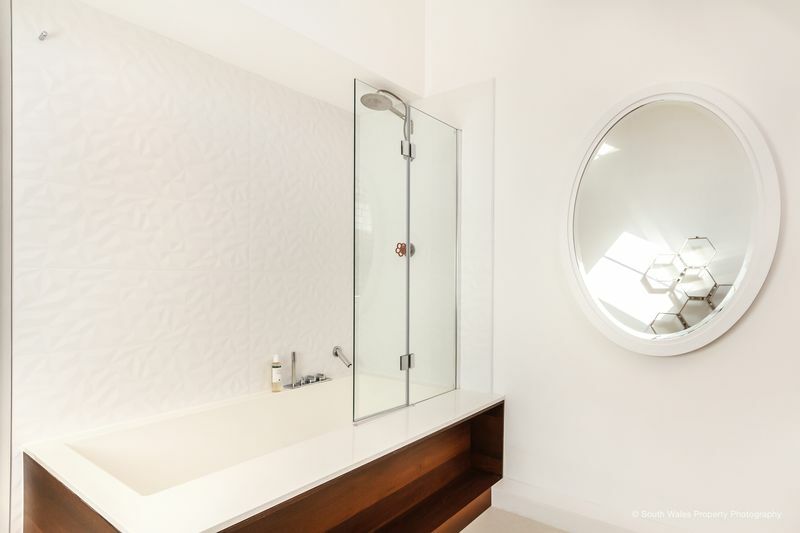 Glass double doors from hallway, tiled flooring, jacuzzi, sauna, steam room, extends to shower area and WC facilities. 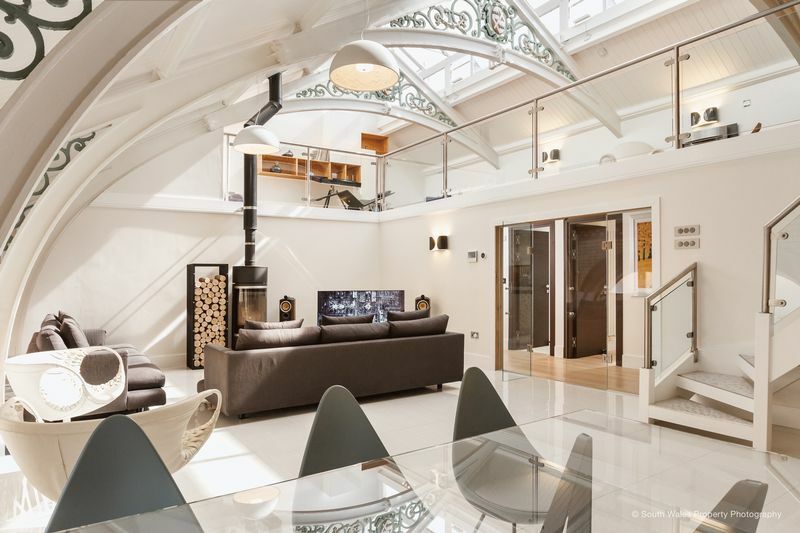 The ceiling retains its original character with steel beams and glass lantern roof. 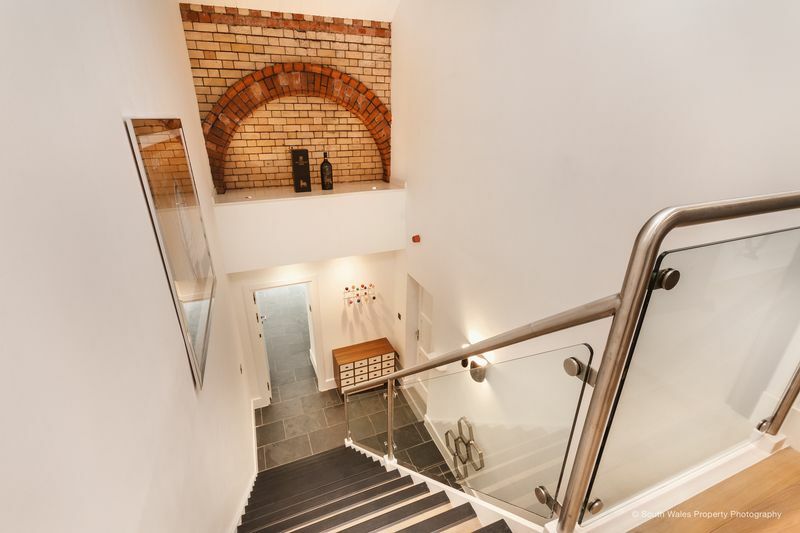 Stairs leading from main lounge area, exposed brick work walls and original ceiling beams, three wall mounted radiators, portal window, power points, glass balustrade with views down into main lounge area. 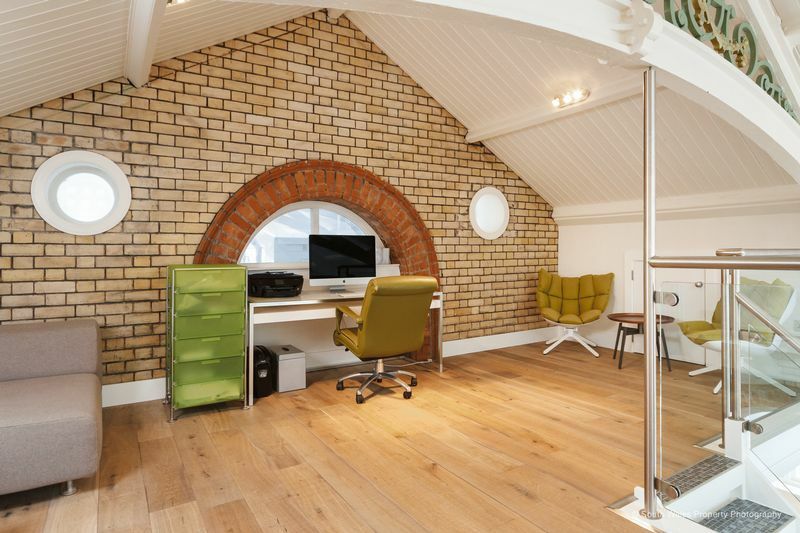 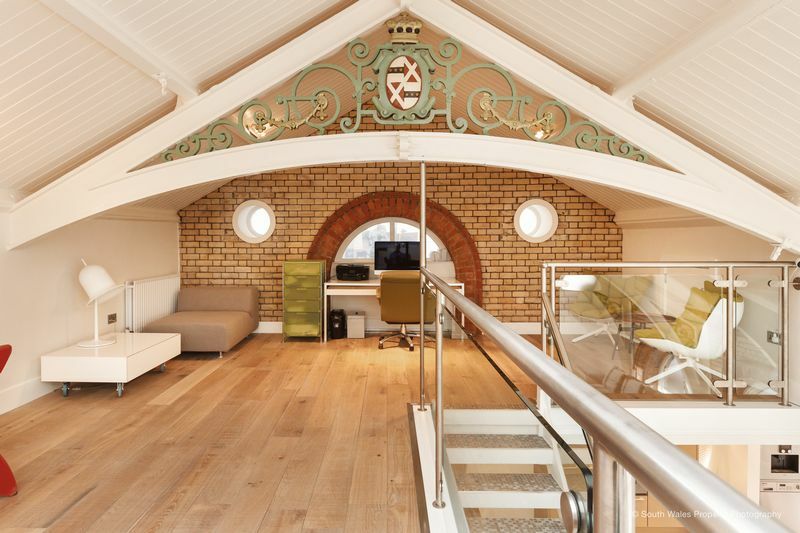 The space is currently utilised as a home office area and additional seating space . 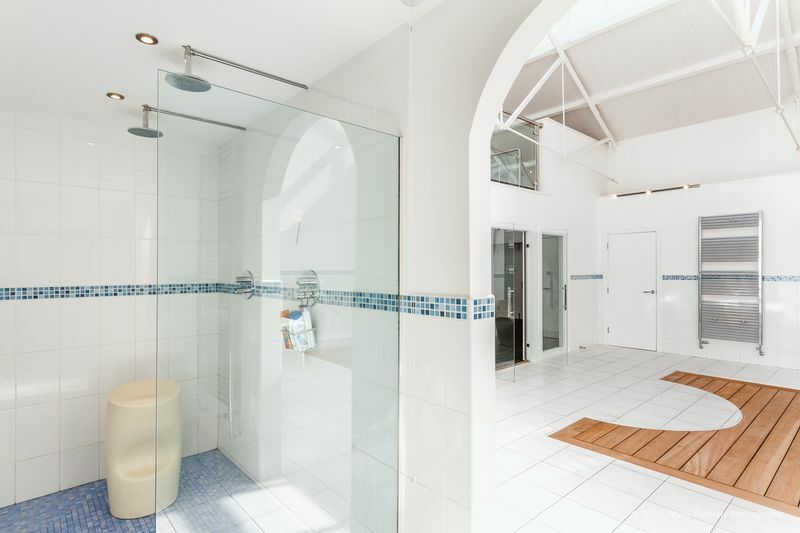 The property benefits from secure gated parking and provides two allocated spaces. 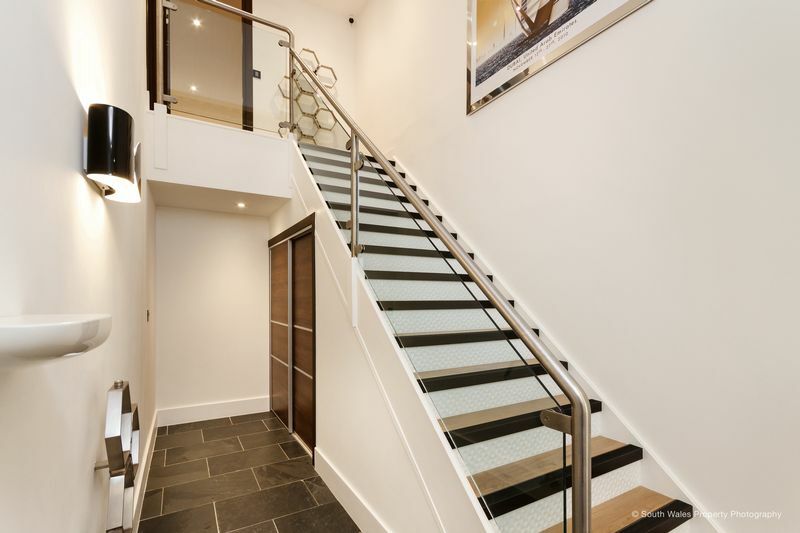 The property has a full internal CCTV system with intercom access from the main door and gated area. 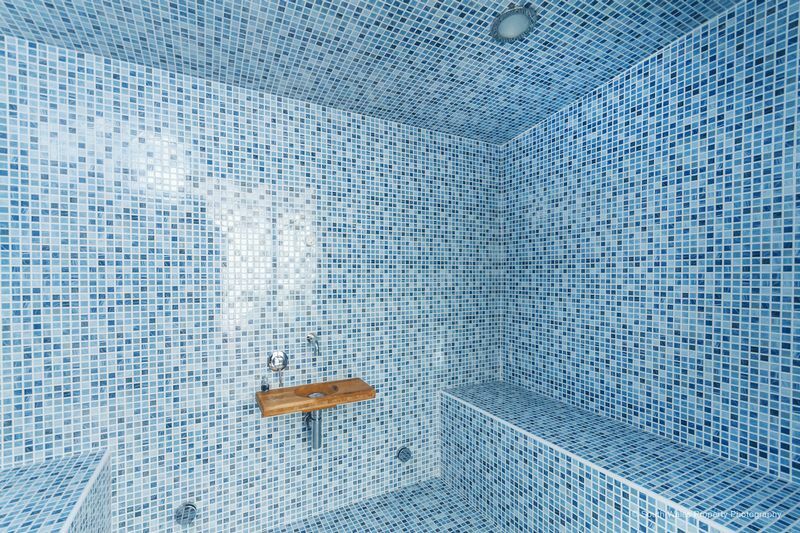 We have been advised that the property is leasehold with an allocation of the freehold. 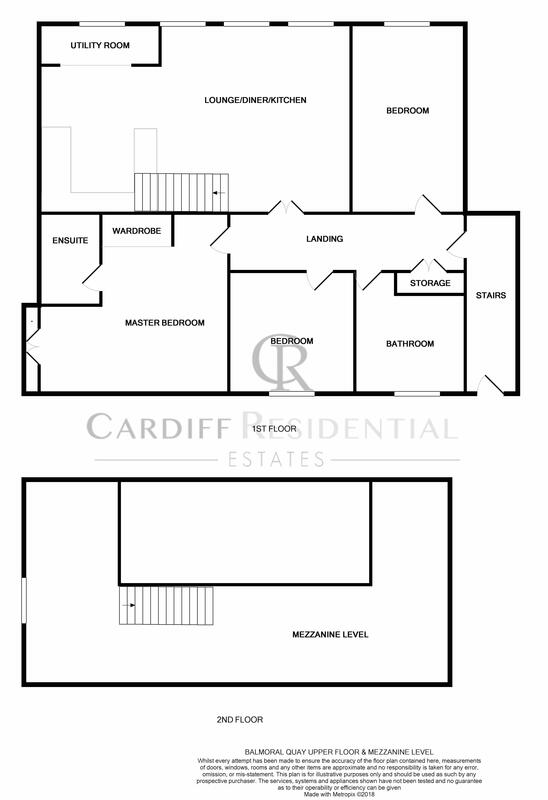 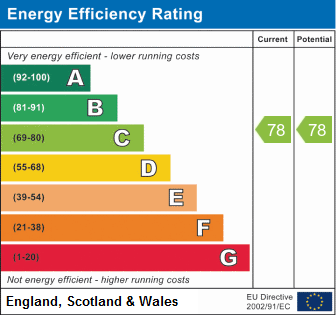 Cardiff Residential Estates have been advised of this information and as such it should be confirmed by your nominated legal representative prior to exchange of contracts. 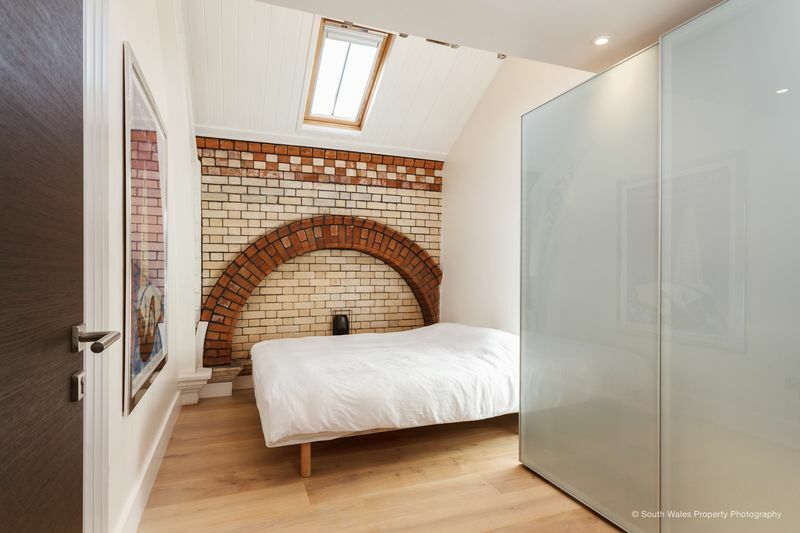 The vendors have requested that viewings be by appointment only and that all potential viewers should be in a proceed-able position. 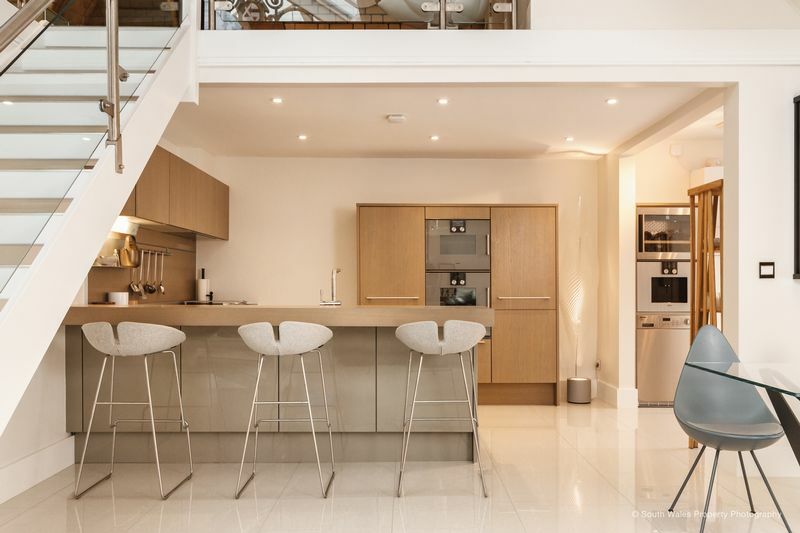 Such information as proof of cash funds, Sold Subject to Contract status with chain information will need to be verified by us prior to a viewing appointment being confirmed. 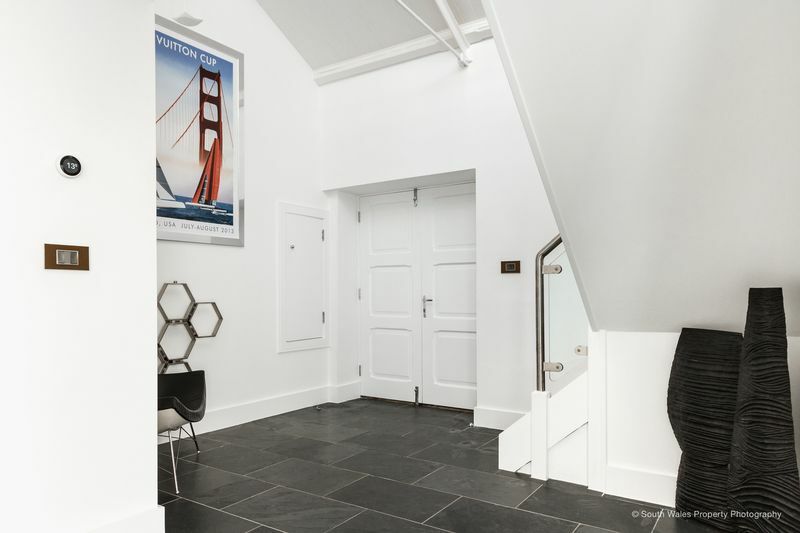 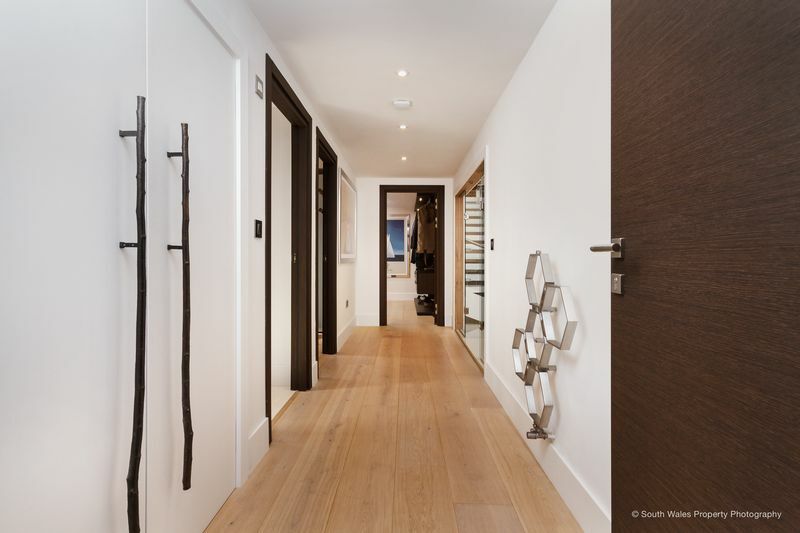 The property has undergone a custom renovation by the owners who wanted a contemporary decor and furnishings to complement the traditional features and history of the property. 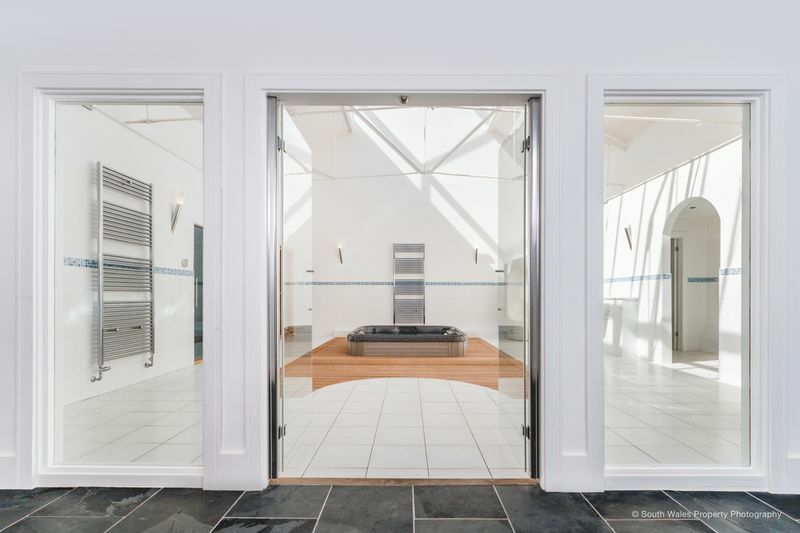 A fully furnished option may be available upon negotiation with the sellers.